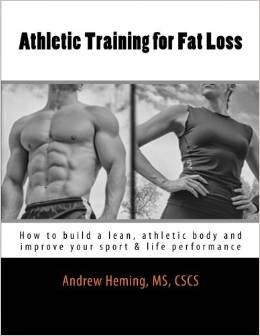 Andrew Heming's Blog: Cardio Beats Weights for Weight Loss? Cardio Beats Weights for Weight Loss? Is aerobic exercise really the best way to lose body fat? If you have been following my blog, you know that I'm a big fan of weight training (the big barbell in my logo gives it away). I have already talked about Why Resistance Training is so Effective for Fat Loss and The Limits of Cardio for Fat Loss. However, a recent article in Athletic Business with this bold title: Study: Aerobic Exercise Beats Resistance Training for Weight Loss seems to indicate otherwise. Does this mean that we should go back to the old way of fat loss and try to 'aerobisize' the fat away? The article is referring to a recent (Dec 15, 2012) study in the Journal of Applied Physiology. Because of my academic training, I have learned to not get that excited when I hear words like "study", "research" or "literature" (even if it comes from a prestigious source like Journal of Applied Physiology) until I see how the research was done. When I read the article in Fitness Business, I went and looked up the original journal article (You can do that by clicking HERE). Here is a quick summary of the study with my thoughts on the application of this new research. 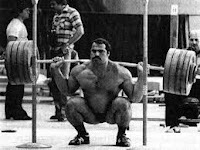 Resistance training only (3x/week, 1 set for weeks 1-2, 2 sets for weeks 3-4 and 3 for weeks 5 and on sets of 8-12 reps). Note: the research article did not include details on exercise selection. Based on what is typically used in research studies, I would bet that they did not use the best exercises (e.g. squats, deadlifts, presses, pull-ups, etc) but rather machine based exercises (e.g. 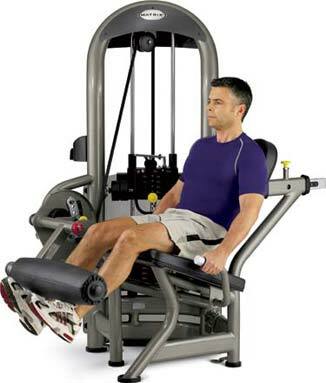 leg press, chest press, arm curl, leg extension, etc). The aerobic group lost the most body weight. However, this was because the other 2 groups were gaining some lean muscle while the aerobic group actually lost muscle. Key point: remember that muscle is metabolically-expensive tissue and virtually everyone trying to lose fat can benefit from gaining a little muscle. The cardio only group did better slightly than the weights only group with a reduction in body fat percentage of 1% instead of 0.6%. Though not statistically significant over cardio alone, the cardio and weights group had the best results (losing 2% body fat) showing the importance of combining these two forms of exercise. Nutrition was monitored at the beginning and end of the study, but there was no dietary intervention to promote fat loss. This likely explains the small changes seen in all groups for an eight-month training period - remember: nutrition is the number one priority for fat loss! 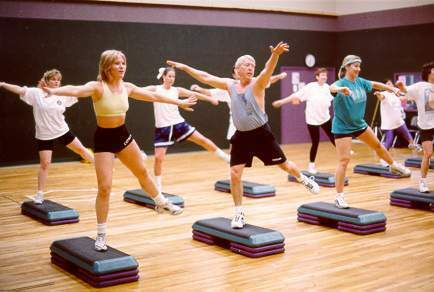 The resistance training group had a higher adherence than the aerobic training group. When looking at any study it is important to consider who the subjects were. In this case, the subjects were sedentary and overweight. In this context, aerobic training is better than resistance training for fat loss because these people are too weak and unskilled at resistance training to get the benefits that resistance training has to offer for fat loss. Lifting light weights is not helpful for fat loss or any other goal. Lifting light weights is simply a starting point for beginners as they gradually work up to heavier weights. If you are out of shape and you are new to weight training, then you should rely on proper nutrition (I have many posts on this already) and cardio to lose the fat. However, recognize that this approach may take someone from obese to non-obese, but it is difficult to take one from average to lean. Therefore, while you are doing your cardio and altering your diet, spend some time learning to do strength training exercises correctly with light weights and then gradually increase your weight to build strength. This way you will have the strength and skill to transition into intermediate fat loss where you can truly benefit from intense, metabolic resistance training. If you are already passed the beginner stage and are strong and skilled at weight training, this research study has little application for you. Stay tuned for my upcoming program, Athletic Training for Fat Loss, for a complete program on how to use athletic-based training concepts to strip fat off and get lean and take you beyond where just cardio can get you. Thanks for your nice article ! Cardio for fat loss at home is the thought of having the possibility of getting fit without going out the door may seem perfect for those who have tight schedules and cannot manage to go out just to sweat out. Hi Andrew, nice article. Noticed that the link on the word BMI is broken. It looks like the site is permanently down. I went to look for an alternative one and found this - https://bmicalculatorusa.com/ Might be worth updating the link just in case any other readers are trying to click on it. Max Armstrong, thanks for reading and for taking the time to let me know about this link - I fixed it now. All the best!